So What, a Jazz artwork using Miles Davis as its theme was actually finished a few days ago. This is my 2017 Birthday painting. My past plan was to finish Birthday paintings on my Birthday. What changed was that I wanted to take this work to an Art Fair in Appleton. On Sunday I showed So What and 11 other paintings, and one nicely framed and matted print. The print was the only item sold yesterday, and although that sale helped, I certainly came of short of covering expenses. 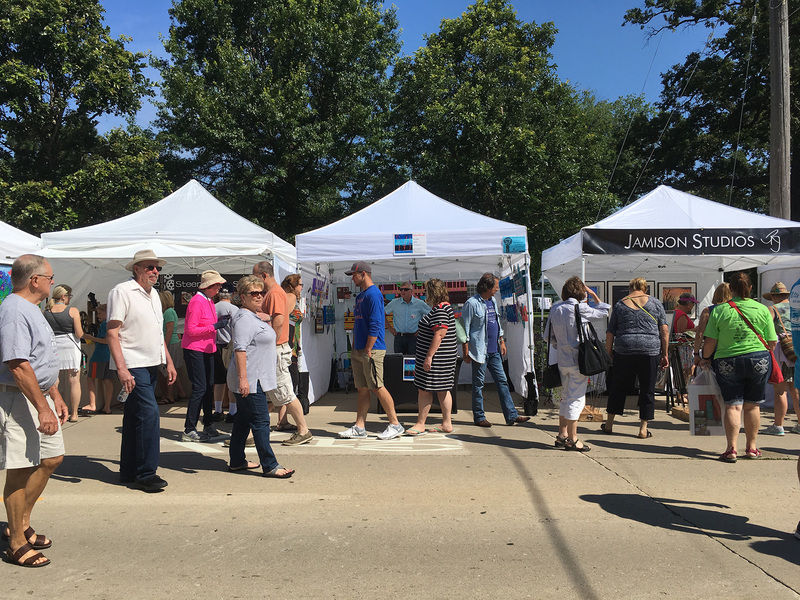 Of course the purpose of attending any Art Fair was to have artworks out in the public view. My reasoning is that no matter what I do and how I good I present my artworks on-line, all those images are two-dimensional. Actually seeing So What, like many of my newest works, you are viewing are three-dimensional artworks. The depth in these artworks can make all the difference. ~ by Scott Von Holzen on 07/31/2017.